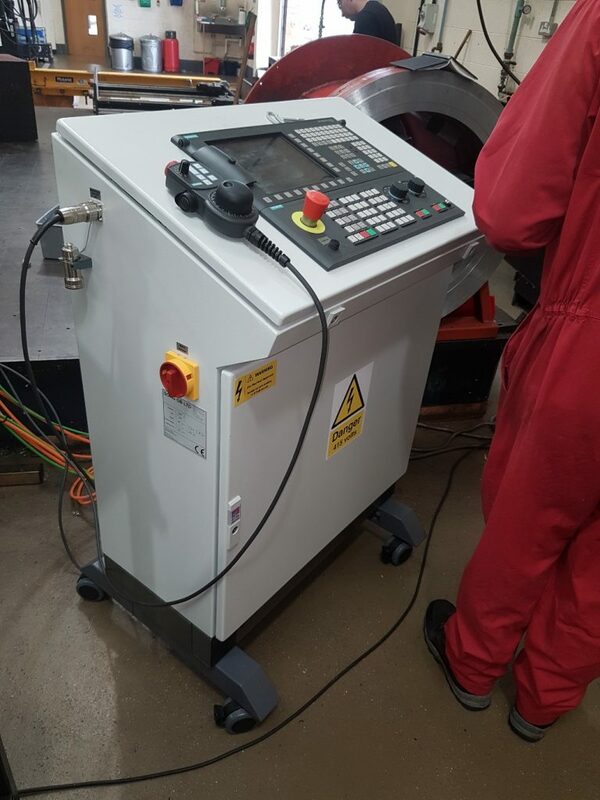 Soag were asked to design and build a control system to operate a portable boring machine, this consisted of 2 linear servo axis and a rotary spindle. The control cabinet needed to be portable with quick disconnect cables feeding the servo axis motors. Siemens Sinumerik 828D cnc and Sinamics S120 Combi unit made up the main control system. Soag assisted with the commissioning of the boring machine, and running/operating of the machine at the customer’s site based in Poland.